TVAddons is up and running again after the shutdown, but not the same as before. In this tutorial, I’ll show you how to install a Kodi Fusion alternative repository so you can install and update Kodi add-ons like Exodus, SALTS, etc. TVAddons.ag’s Fusion repository server has been shut down since early June 2017. It was the file manager source that pretty much everybody was using to access their vast collection of unofficial Kodi add-ons. In the wake of the Fusion shutdown, people have been left without any way to install or update their favorite add-ons. Well, we can’t all wait forever, and they might not ever come back. After almost 2 months of being M.I.A., TVAddons is finally back as of July 30, 2017. However, be aware that they are not the same as they used to be. The new domain for TVAddons is now https://www.tvaddons.co/ instead of the old tvaddons.ag since all their domains were seized by a Canadian law firm and they’re being held even after the court decided in favor of TVAddons. Read more about the crazy stuff that they have been through with the Canadian legal system. Given this information about the new post-lawsuit TVAddons 2.0 that doesn’t have any of our favorite Kodi add-ons anymore, I imagine most of you will lose interest in them as I have. So, read on to learn how to install an alternative to TVAddons’ Fusion repository. These instructions will work with any Fusion alternative repo that you want to install. Just use the URL of that repo, and give it a name that you will recognize as that repo. Then, each repo server will have different contents here. Usually, there will be a repo file you can install. Or, there could be individual add-on repositories available to install. The Smash repo is a brand new repo as of late June. It hosts a ton of the most popular Kodi unofficial add-ons. 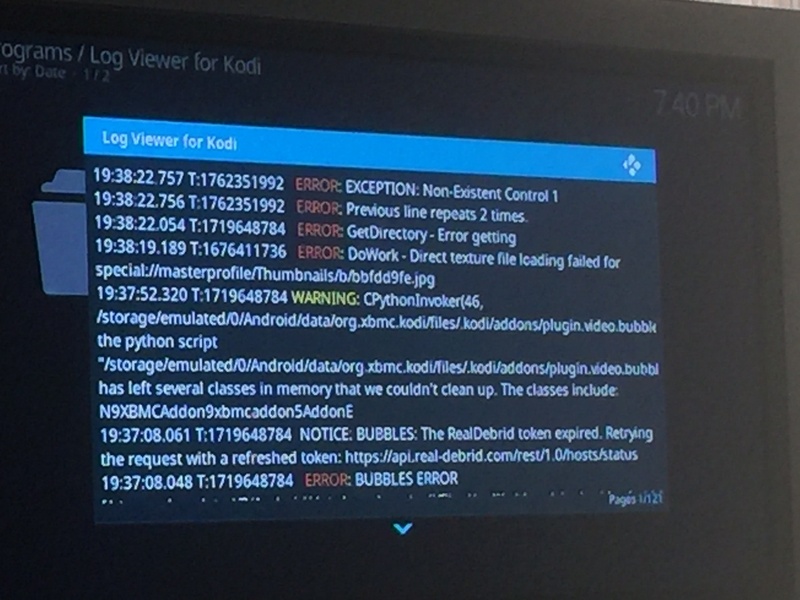 Smash hopes to become the new favorite Kodi repository to replace Fusion going forward. It not only hosts a bunch of add-ons, but Smash repo also hosts several other repos, so you can install those repos from this single source. SuperRepo has been around as long as TVAddons, if not longer. The two of them have been the biggest add-on repositories. SuperRepo has over 2,000 add-ons to choose from. Hopefully they don’t face the same fate that TVAddons did. At the time of writing this, SuperRepo is up. If you find it to be down, please let me know in the comments. I thought I should mention NoobsandNerds because I’ve heard some people talking about their repo, but at the moment, it appears to be hit and miss. It seems like their server is overloaded with too much traffic since floods of people are looking for alternatives to Fusion. If you want to try out NoobsandNerds repo, just follow the same instructions, but use this URL as your File Manager source URL. The best replacement for Fusion so far is Cazwall. Hosted by Simply Caz at Cazwall.com. UPDATE: Caz has closed down his repo (except for his own legitimate add-ons). Apparently the server costs would be too high, and he started receiving legal threats. So, he not only shut down his repository, but he also said that he was deleting all of his Kodi posts and would no longer be posting about Kodi on his blog. One last thing on this topic that I wanted to share. I’ve helped some people get their new Kodi boxes set up since the Fusion shut-down, and it was not always easy. One issue I came across was the inability to install any new add-ons even from these new repos. It was always giving the error message “Failed to Install a Dependency“. TVAddons with Fusion and a bunch of other add-ons have shut down recently due to legal troubles. Dish Network launched a lawsuit against TVAddons because the software (add-ons) that they have been developing was helping a vast number of people around the globe stream unlicensed TV and movie content. That lawsuit apparently caused the shut-down of their entire online presence. In addition, anti-piracy and anti-copyright-infringement laws and enforcement efforts have been at an all-time high. In Europe, the sale of fully-loaded set top boxes that allow for streaming of unlicensed content has been banned by the EU and many people have already been sent to jail. In these times of uncertainty, please be diligent about protecting the privacy of you and your family. You need to use a Kodi VPN. To learn more, read my 4 Reasons Why Kodi Streamers Need a VPN. 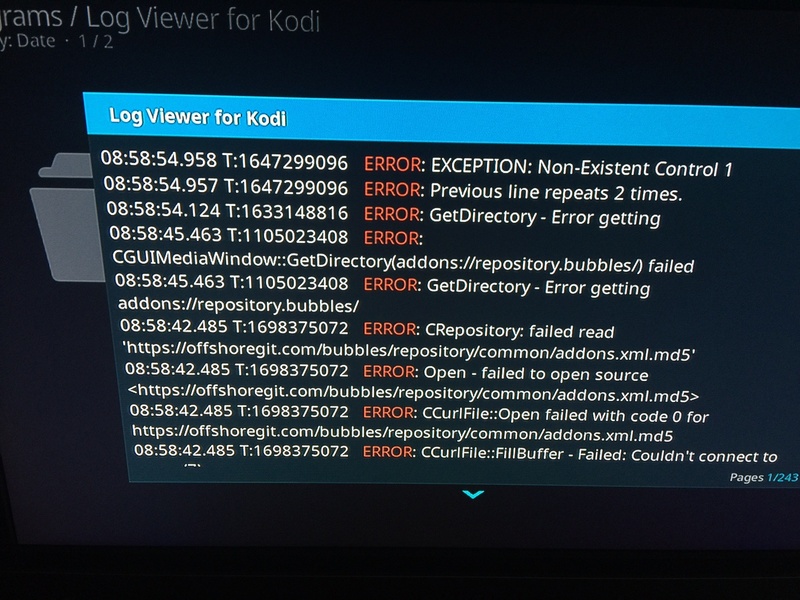 We are all in uncharted territory here as the whole Kodi add-on community is in shock and scrambling about what to do. If you have any tips to share with everyone, please let us know in the comments below. Thanks! What URL is it saying it can’t connect to (in the logs)? The problem with that is it’s trying to download from offshoregit.com which was shut down along with Fusion. Disable any repositories that are broken (now including Cazwall’s repo), and use another alternative. Thanks for the tip. I saw Caz’s video announcement about quitting Kodi. I updated this post. Cazwall is gone. I updated this post. Yes. Specto does. But virtually no HD links. Thanks Kelly, I managed to sync the TMDB list with the Elysium add-on. Haven’t retried Bubbles yet, I wasn’t able to connect to the repository yesterday. I am using Krypton 17.3 and under my version of KODI I can find My ADDons after I added the URL and named it CAZ. Any suggestions? Caz repo is down now. I updated the post. No more failed dependencies after disabling the broken repos. Thank you! Dude, you are a life saver!! Thank you a ton for this post! I’m having trouble installing Exodus, I’m getting the “Failed to install dependency” error so deleted all repositories old and not in use but am still getting the error. You have an old Bubbles repository. I just update this post today to include a new repo called Smash repo. It has the latest Bubbles repo. Thanks for the heads up on the new source. I got the Smash repo to install and the Bubbles repo to install. I don’t see a Bubbles add-on. When I open the repo the only options I have are Update, Auto-update, Disable and Uninstall. Run and Configure is grey out. Did I miss a step? Thanks! Now you have to go back to “Install from Repository”, then browse in the Bubbles repository to find and install the Bubbles video add-on. Or, I think you can find and install Bubbles directly from the Smash repository instead of the Bubbles repository. Thank so for your patience, got it, thanks again! Holy fk dude, I was legit trying to bypass the ‘failed dependency’ notice after initially finding an alternative to fusion. I was about to give up when i came across this window and scrolled down to find a solution to this problem…ty for the help, friend. I have a follow up question if you don’t mind — There seems to be a severe lack of hd links, especially on addons like Exodus..Is there anyway to get access to more of a variety of hd sources. I’ve also noticed a big decrease in HD sources. I think with everything that is going on, many are shutting down in fear of legal trouble. I suggest using Real-Debrid if you’re not already. Even that has fewer than it used to, but you should have a better chance of getting some good HD links. I downloaded Cazwall about 11/2 wks ago. It is still working for me. I have gone around being able to list the show I want by going thru the Network route. I’ll keep this update in case I need it later. Thank you. Thank you for all the updates. I had installed CAZ a couple weeks ago and did not realize it’s gone now. I’m subscribed for your emails and am really glad I do. You keep me up to date on what’s going on, love the workarounds and the “How to fix” pieces. THUMBS UP! I have a question. I was using cCloud for live TV (I’m in USA) which has shut down as we know. Can you offer some suggestions? Or do you have an article I may have missed. Thanks again for your invaluable info. Elysium is a faster substitute for Exodus…works great!! Guys kodi users please please get vpn get vpn so to protect you and this can also help keep kodi alive and working for us. Tired of paying overly high cable bills well this will help. Nathan, Thank you!! I had downloaded Caz last week and then it began getting harder & harder to find streams that would work. I’m pretty new to this, can you explain to me why I can see some of the episodes of certain shows and in the middle of that season it comes up “no stream available” I’ve done the clear cache & clear providers. A good example is “House Hunters renovations” I was able to see some episodes in seasons 7, 8 & 9 but “no streams available at all for seasons 10 & 11. I’m on an MQX box, is there anyway of getting these episodes? I’ve seen that, but rarely. To get the best results, subscribe to Real-Debrid, and also try other add-ons. I would try all of Exodus, SALTS, and Bubbles. Check the spelling. Like make sure it’s .net instead of .com. I just installed it on a fresh Kodi install and it worked fine. Install the Smash repo and it should all be fixed. The website is back up but on a different domain. It looks like mediarepos,net/kodistuff has been down for 4 days, anyone else see this? Hi Nathan! Can you please help. I have Kodi installed. From there I’ve tried multiple times to install ares and smash and neither of these options are working. I’ve gone back to factory settings on my Firestick and started over again and again only to get to the point where Install from zip file fails. Any suggestions? It’s a bad time to factory reset because the Colossus repo has been shut down. I don’t know of a way to get Covenant on a new device yet.